In 2005, "Supernatural" premiered on The CW featuring Jensen Ackles and Jared Padalecki as brothers Dean and Sam Winchester as they cruise in their 1967 vintage Impala hunting demons and other paranormal creatures. Now in its 14th season, "Supernatural" is North America's longest running genre television series and has one of television's most dedicated fanbases. Before the weekend's festivities started. we caught up with Rob to talk about this epic series, his music and what makes him happy. Taylor: Since you got the role of Chuck/God, did it make you think any differently about your own beliefs? Do you think it’s changed you as a person, outside of the show? Rob: No it didn’t really affect my personal beliefs. But the show itself has had an effect on me for sure — being a part of this family, the show and the conventions, the friends I’ve made and being a part of it for so long. I can’t say it’s changed me but it has influenced me and given me so much — to have met so many people and be so inspired by the fandom. T: How do you think your character and the show’s depiction of God compares to actual theology? R: A theologian might be able to answer that better than me. I see Chuck as a metaphor for Eric Kripke who is the “creator” of the show. Within the world that is “Supernatural," he is the God of the show. At least that’s how it was introduced at the end of Season 5. I always loved the idea of Chuck being the least likely person you’d think to be the Almighty. But I think it’s genius the way they wrote it. And to make “God” essentially a beleaguered writer. I love that. T: What’s your favorite scene/episode that you’ve ever done? Has any scene gotten to you/made you emotional? R: The scene I shot in Season 11 with the boys where I caution Dean not to mistake me with his father. He played that so amazingly well, tearful and sincere. I was blown away by Jensen’s performance. And I had a hard time not being emotional as well — the idea of a distant father resonated with me personally. When they turned the camera on me, I had to access a part of myself I don’t love, a person that is tough for me to take as well. A hardened father figure, unapologetic. But that was what the scene needed. My favorite to shoot was probably when I played Fare Thee Well, mostly because it was such a unique bit of tv making. They ran the camera and let me just play and did it all in one take. It was a really special moment. T: Was there a lot of pressure/pushback from people once your character was revealed to be God? If yes, how’d you deal with it? If no, were there any other pressures you dealt with? R: Not really. I think there is a faction of the audience, maybe less so now than before, that weren’t fans of the idea of Chuck as God. But again, I think that’s there is the genius to this idea of God is “one of us” the one you’d least expect. I think the majority of fans have embraced it though, and embraced me as him. It’s all been positive. T: How do you think your character and your portrayal of the character has changed over the seasons? Was it complicated/intimidating figuring out such a character as God? R: It was intimidating at first. When I shot my first scene as God, I thought “will they give me notes?” “is this what they want”. I went up to Director Bob Singer and asked, “is that…was that cool?” And he looked at me sideways and said, “well of course-- you’re God aren’t ya?” I was like well, I suppose so. And went from there. T: What is one goal you have for your character, what would you like him to accomplish? R: Well, I’d like to come back at some point. I’d like to meet my grandson Jack. I’d like to address some of the “issues” the boys have been dealing with. My name sure is mentioned a lot - I’d like to take a turn to explain myself some more. T: Fans love meeting you at the Supernatural Conventions. What is the experience like from your perspective? R: It’s amazing. It never continues to amaze me — to meet people from all over the world who are continuing to discover the show. It is truly mind blowing every convention. We never take it for granted that’s for sure. T: Music is clearly a place where you find joy. 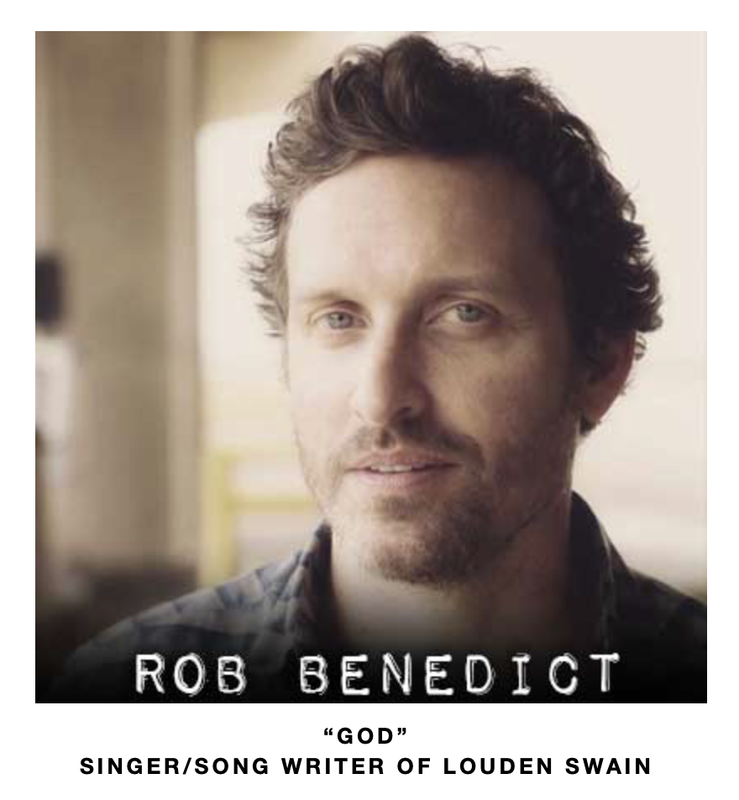 When you write your songs for your band, Louden Swain, does it feel like a catharsis of sorts? Is it a vulnerable place to go or do feel a release when your words and feelings have found their place in a song? R: It’s like writing in a diary. It is absolute catharsis. And quite scary to sing it out onto the world. But it’s worth the release. T: Have you ever not gotten a role that you auditioned for or had a bad day and how did you get past that? R: Every day. You just have to take a breath. Keep moving. All things must pass. And you move on. T: You’re very open about your stroke in 2013. As you healed and came back stronger than ever, did this change your mindset or shift your perspective about life at all? R: It changed everything. A second doesn’t go by where I don’t think about it. It has made me more thankful for sure, more true to myself. But also more fearful. 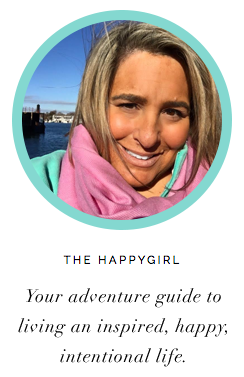 T: What does your quintessential happy day look like? R: No work, just hanging at home with my kids. T: What are five things that make you happy? R: My son, my daughter, my animals, listening to my vinyl records and watching an amazing movie. T: When were you happiest? R: The days my kids were born. T: What is your happy place? R: My office — where I write, write music, listen to music. T: Rob, you have two kids. What advice would you give them about being happy in this world? R: Same as I said before. Just to take breaths.. And know that the bad times will pass. Just breathe. T: Do you have a mantra or motto in this life? R: Not really. Just keep living. And enjoy every minute.